Alita: Battle Angel is praised by so many young fans especially for its realistic CGI. ROSA SALAZAR performed the role of Alita, the cyborg protagonist who awakens without any memory from the past. She got a new life after Dr. Ido found her in the junkyard. The Alita is famously identical for her wide eye while Alita: Battle Angel costume she wears is imitated by all fans too. If you want to adopt the same look like her then here we have a complete Alita: Battle Angel costume guide that you can DIY at home. Scroll down to grab all the accessories of the Alita Battle Angel costume for Halloween and cosplay from the battle angel movie. 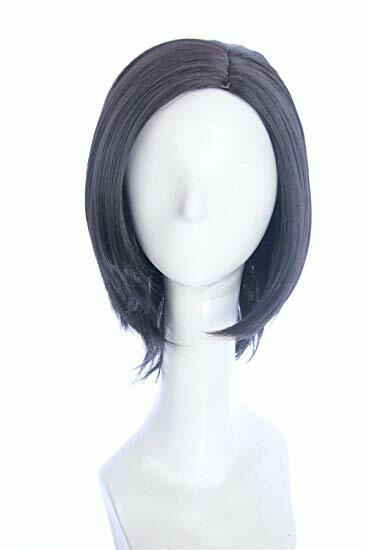 If you are a blond beauty or have long smooth hair, then this short black wig is what you must need to look like Alita. You can easily find it at any Amazon Store with an identical style and color. The wig always has straps and is easy to attach on any head. With shiny short black hair, you would feel as lithe as the cute Alita. If you want to save your wallet to look like Alita, here is what you can do. Then BOOM, you got yourself a simple version of Alita Costume. If you figure these things together are not authentic enough, then you can just buy a finished Alita: Battle Angel costume. Alita: Battle Angel costume is available on XCOOS in several versions, select the best that suits you. Here are some pics of it. The version 1 Alita: Battle Angel costume is composed of a bodysuit, a vest, and a trouser. It is special cause it has whole set robot jumpsuit instead of just having robot pattern on the arms parts, so with or without the black vest and pants, the jumpsuit itself is good enough to go to any convention! The version 2 Alita: Battle Angel costume is composed of a Vest, pants, and a top, it's much cheaper than the last one! 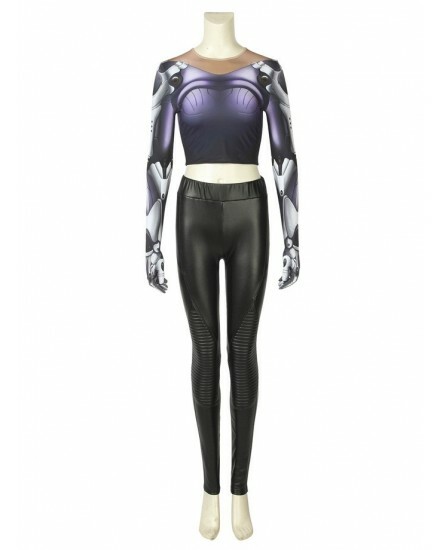 You should know robot pattern on the arms is exactly what will distinguish you from all those normal human girls! This version 3 Battle Angel Alita Costume set includes a beautiful black quilted leather vest and a black slim quilted leather trouser. 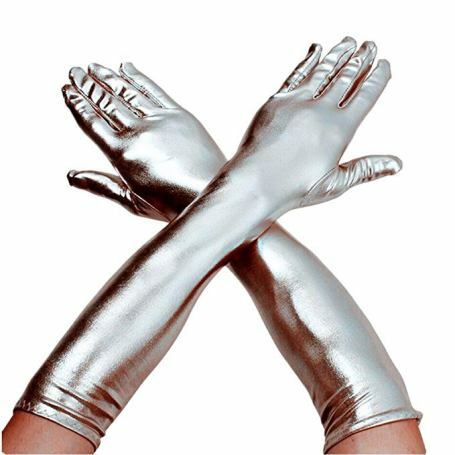 After wearing, you will look like your superhero girl. If you are in a fighting mood then it is the best thing for you to show your skills. 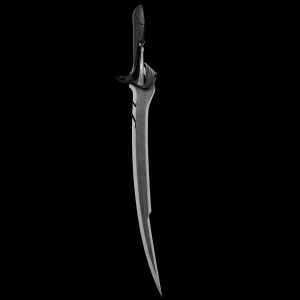 Any long sword looks like the original one will be good. Whether you want to run fast like Alita or want to fight like her you will need these strong black boots. Actually, it's the most simple part, right? 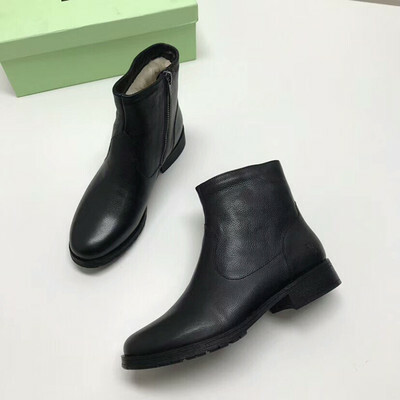 Your common black leather boots will match the whole look. After having this Alita Rodriguez costume boot in your bucket you are ready to cosplay this character on your will.